Personality Development camp was organised on 24.03.2018 & 25.03.2018 for VIII Std students to imbibe our culture and values in the minds of the children. Sri. M.N. 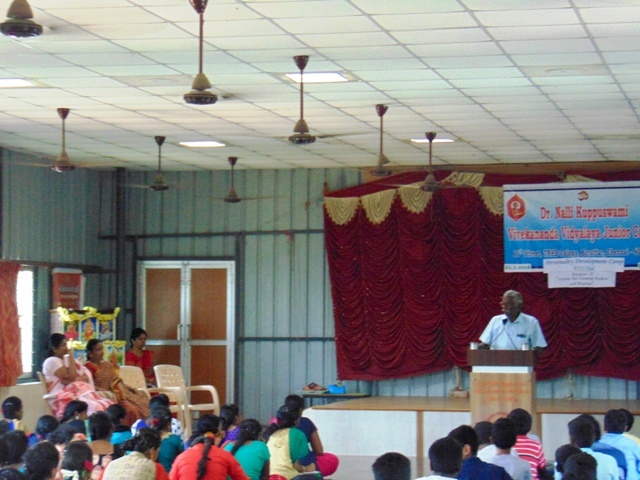 Venkatesan, Secretary, VES inaugurated the camp. In his inaugural speech he stressed on the importance of the six petals of VES. In the first session Sri. S.D. 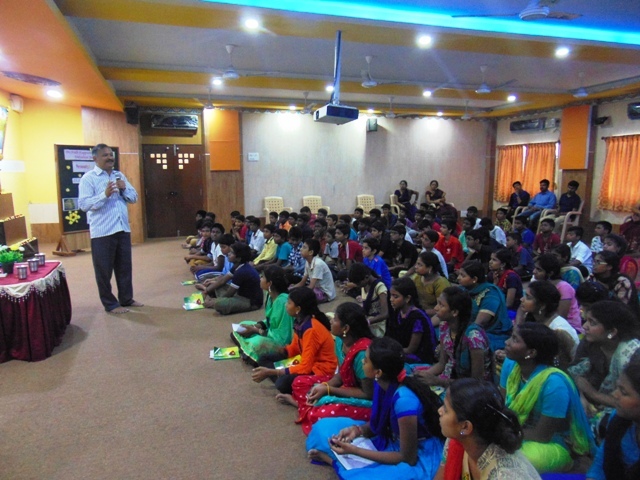 Mohan, SMDC member addressed the students on the topic “My life in my Hands”. After this session “Charlie Chaplin film” was shown to the students. In second session Kum. Priya, Alumna of our school addressed the students on the topic “Nutritious Healthy food and Hygiene”. In the evening Bhajan was rendered by the students. In the third session Sri. P. Prakash, Prantha Samparka Pramukh, R.S.S. addressed the students on the topic “Patriots”. In the late evening group wise activity was done. Students exhibited their talents through skit. On the second day, on the occasion of Rama Navami, special pooja Bhajan was rendered. Our Correspondent Sri. N.R. Narendranath spoke on the significance of “Rama Navami”. This was followed by a unique programme “Mathru Vandana” . Mother parent of all the students were invited to attend this programme. The significance of this programme was explained to the parents. The parents also expressed their happiness in conducting such programme and making the children understand about the due respect that is to be given to the parents. This was followed by speech on the topic “Thodar Velai oru Thavam” by Sri. L. Natarajanji for students and Sri. Veera Baghuji for parents. In the fourth session, Sri. 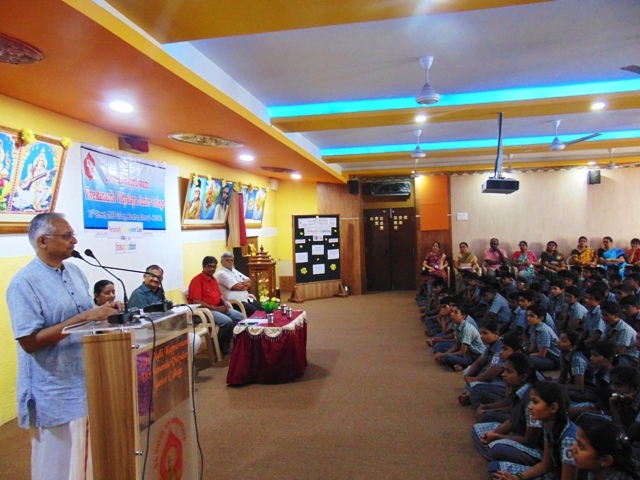 K. Ponramanji addressed the students on the topic “ Arjuna, the great warrior”.